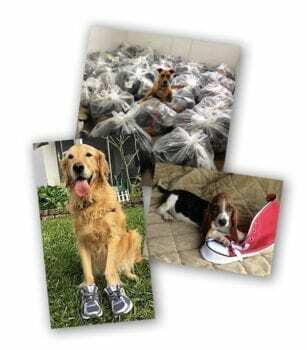 WoofTrax Shoes for Shelters & Rescues! a WoofTrax Shoes for Shelters & Rescues fundraiser! Digital marketing materials that you can customize! Pickup of the shoes by the Funds2Orgs logistics team. A check issued to you within 48 hours of the receipt and processing of the shoes at the Funds2Orgs warehouse. Get more information now by calling 407-930-2979 or completing the form below to have a fundraising coach call you.